You’ll not struggle to find a drink during the Edinburgh festivals, with pop-ups located right across the city. But why buy your own booze, when there are plenty of alcohol-themed shows running across the city this August, which come with a free drink…or five. With FIVE free drinks during their show, it’s no wonder that The Thinking Drinkers’ show has sold out every year since 2011. This year, award-winning drinks writers and comedy performers Ben McFarland and Tom Sandham have made it their aim to prove that alcohol has influenced everything that has ever happened. Ever! Helmed by two of Australia’s rising cabaret stars, Mother’s Ruin takes festival goers on a journey through the history of gin. Equal parts historical and hysterical, expect sailors, barmaids and bootleggers in this darkly comic cabaret, featuring songs by Amy Winehouse, Nina Simone and more. All washed down with a complimentary Four Pillars gin and tonic. Returning for the fifth year, acclaimed illusionist Scott Silvern hosts an exquisite evening of fine dining and whisky tasting, interwoven with breath-taking illusion. 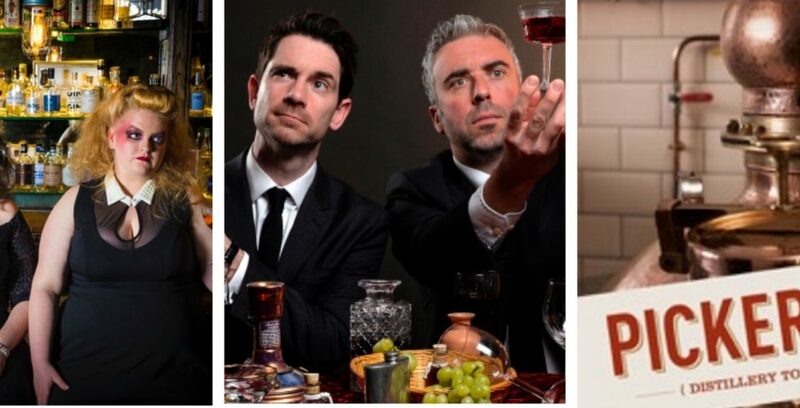 With Queen Street’s Scotch Malt Whisky Society playing hosting to Scott and his sleight of hand, I can’t thinking of a better pairing at this year’s Edinburgh festivals. Edinburgh Gin invites festival goers to step inside the world of gin like never before, which an exploration of its illustrious history and modern resurgence. The journey, which spans three decades, will excite your senses with the sights, sounds, smells, and most importantly, the tastes of the gin-making process. As one of the festivals’ main venues throughout August, Summerhall are throwing their doors open to booze lovers. According to its Fringe listing, Barney’s Beer is Edinburgh’s longest established non-continuously operating brewery – and what better way to find out what this title means than with a tour, which includes samples. Similarly, Pickerings Gin will be offering tours of their compact distillery, including an introduction to stills Gert and Emily. With more samples! And if you’ve ever wanted to be locked in a distillery, then why not try Picking’s very own Distillery Escape Game, where you’ll take on a vodka themed group of extremists.